Centering is one of the six fundamental aspects of Pilates. The idea of engaging your ‘Center’ or ‘Power House’ is often referred to as having ‘core control’. The core muscles can be thought of as a cylinder or barrel of support around the spine. This group of muscles provides stability for the spine, starting with the Pelvic Floor deep in the Pelvis, as the base up to the Respiratory Diaphragm inside the rib cage, as the lid. When these core muscles are working effectively as a stabilizing girdle, the whole body is able to move in a more controlled and strong manner through many ranges of motion. 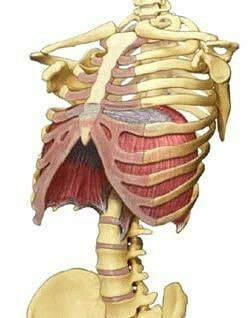 The ‘Inner Core’ is made up of smaller muscles that are deep inside the torso, attached to the spine and/or pelvis. They provide a background level of near constant activation to provide stability for the spine. The ‘Outer Core’ is made up of larger more superficial muscles that support the Inner Core and engage to instigate larger movements of the trunk and body. ​If your inner core muscles are not functioning properly then your body will compensate by recruiting muscles from the outer core or elsewhere to try to stabilize your spine, leaving you vulnerable to pain, injury or dysfunction. Pelvic floor: Is made of group of muscles deep in the pelvis. They attach to the pelvis at the front and side, and to the coccyx at the back to form a funnel shaped sling. It supports the abdominal and pelvic viscera. 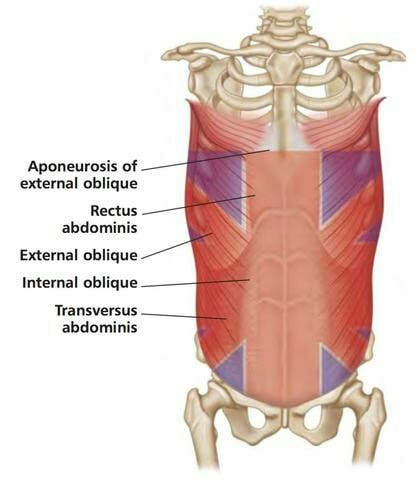 Transverse Abdominis: This is the deepest abdominal muscle. It runs around the lower abdomen and is sometimes called “nature’s girdle”. Its main function is to compress the abdomen, in this way it protects the spine by contracting to stabilize it in anticipation of any movement. ​Multifidus: As the name suggests this is a group of many small muscles that intertwine deeply up the spine, from the Sacrum up to the top of the spine, almost like running stitches connecting each vertebra. The main role of the Multifidus muscles is to stabilize the spine, creating rigidity and vertical support. Respiratory Diaphragm: Is a wide, flat muscle that forms a dome inside the ribs separating the lungs and heart from the abdominal contents. This is the most important muscle in control of inhalation and exhalation. In Pilates we use the Diaphragm to control the breath, which in turn supports the spine and assists the spinal and abdominal muscles. 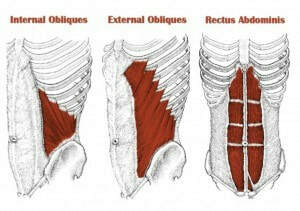 Internal and External Obliques: These muscles are more superficial. They help to flex the torso forwards when working in bilateral pairs and when working unilaterally on one side or the other, they enable the torso to flex and/or rotate sideways. The Obliques have a crucial role in supporting the Inner Core. ​Rectus Abdominis (the six pack): The Rectus Abdominis is a large flat muscle that runs up the centre of the abdomen. It starts at the pubic bone of the Pelvis and widens as it covers the fifth, sixth and seventh ribs and then attaches to the bottom of the Sternum. The Rectus Abdominis can produce strong flexion of the torso. 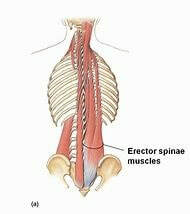 Erector Spinae: As the name suggests, this group of muscles that run superficially up your spinal column are mainly focused on maintaining an upright posture. These muscles are multi-segmented, with larger muscles subdividing into smaller muscles, starting at the Sacrum and reaching all the way up to the base of the skull. Gluteals: Although the three gluteal muscles of each buttock are technically outside the cylinder of the core, strong gluteal muscles are vital for maintaining an upright posture and for walking, running, climbing and jumping. If the Gluteals are weak, the muscles of the lower back often compensate leading to lower back pain. ​It is important to note that the muscle fibres of the four key abdominal muscles (Transverse Abdominis, Internal Oblique, External Oblique and Rectus Abdominis) each run in different directions, thus giving you wrap around support, much like a well wrapped parcel. As you become more aware of your core muscles and learn to activate them during Pilates classes, you will find that you will be able to apply this knowledge and strength to everyday life. In this way you will learn to switch on your ‘powerhouse’ during day to day activities and become more aware of your posture, until the activation of your center becomes second nature. Aaargh stress!!! 7 ways to calm the stress monster! Do you feel overwhelmed with the demands on your time and energy? In the first of several blog posts, I want to write about the feeling of overwhelm and stress we all feel and ways to deal with it. These days we are supposed to be available all the time, aren’t we? A lovely invitation lands in your inbox or as a text. You are delighted but are so busy running around – stress at work, deadlines, work politics, shopping, cooking, home politics, demands…. – that you forget to respond. Then another message lands, asking for your response and you feel even more stressed; maybe even irritated ……. And it’s a lovely invitation from someone you love! When did we lose our sense of joy in life? It all feels like a drudge! Is this you or even a bit of you? Well……let’s take a closer look at stress. We know it’s a natural reaction. We know about fight or flight. We know it is unhealthy and unpleasant to be constantly living in a state of stress, so how do we deal with it? Here are some ideas to get you started. Make a list of the things that are causing the most stress to you right now. Look at your list and see if there are any that you can do something about. For example, your commute to work that you hate because the train is always packed. Can you leave earlier? avoid the crowds, go for a coffee and take some ‘me time’ to read a book or write down your thoughts before arriving at work early and unflustered? Or maybe it’s that you are sick of the mess in your home and other people not cleaning up after themselves. Is it time to invest in getting some help there? Either employing a cleaner if you can or sorting out a rota for the family to share the chores? Whatever is on your list, there will be some things that you can change or sort out that will immediately release some of the stress. Maybe it’s a health niggle and you just need to be brave and go see the doctor to check if it is really worth all the worrying you are doing! There will be other things on your list that you are unable to solve so easily and that you can do nothing about. Let’s take a look at those. They can be divided into 2 main areas – important and unimportant. Is there anything on your list right now that you are stressing over, but that is really not that important in the great scheme of things? You know, these are things like getting irritated every time your neighbour slams their front door. Sometimes we just need to adjust our view on things and get things into perspective. In the great scheme of things, does it really matter if your partner packs the dishwasher differently to you? Or that they leave the eggs out of the fridge? Or that someone at work always leaves the toilet roll hanging under???? A sense of perspective about what is really important in life is vital here. We all have moments; critical moments – a great disaster or when someone you love passes away – when we see the wood for the trees and we can see what is important and what is not, but life gets in the way and we get caught up in the small stuff. Let’s let it go! There will also be stuff on your list that is important and causes you stress and that you cannot solve right now. That is where we have to build some resilience – more of that in a blog still to be written! So now that we have sorted out what’s important and perhaps maybe made some changes were we can, how do we then deal with the stress in our daily lives? Learn to breathe! Many of us breathe so shallowly that the very action causes us more stress! When we breathe properly; deeply; into the belly, it has so many benefits; but in terms of stress, it slows the heart rate and helps to reduce anxiety. Yoga practice is great for teaching us to breathe properly. In your daily life, try 7-11 breathing: breathe in for a count of 7 and out for a count of 11. You will feel calmer and more grounded and this can be incorporated into your busy day easily. ‘The practice is simply this: keep coming back to your breath during the day. Just take a moment. This will give your mind a steadiness and your breath a gracefulness.... There’s so much to let go of, isn’t there? Your nostalgia and your regrets. Your fantasies and your fears. What you think you want instead of what is happening right now. Breathe.’ Rodney Yee,Yoga: The Poetry of the Body. Slow down! Literally! We tend to move very fast; especially if you live or work in a big city. If you stop in the middle of a busy station during rush hour – let’s take Liverpool Street as a great example – and just watch people for a few minutes, you can almost feel the stress as people move really really fast! So, if that is you, just try and take your pace down a notch and see if you feel a little more relaxed. Carve out some ‘me’ time every day. Even if it’s just 5 minutes with a cup of tea and a magazine or a walk around the block at lunch time, try to make the time. Those few minutes may just help you to take stock and calm down. Remember you are no use to anyone if you don’t look after yourself. Make use of your favourite things to help you relax. The smell of lavender is deeply relaxing. If you like the smell, can you use a diffuser to have the smell at home before bed? Or how about lighting a beautiful smelly candle as a way to wind down at the end of a day? Take time to stroke your cat or dog if you have one. Listen to music you love and that you find relaxing. Sometimes the most obvious things; our own personal favourite things are the things we forget about when we are most stressed! If you have any feedback about this article or you want to find out more about how you can work with me, do get in touch and also let me know your favourite ways to de-stress! I look forward to hearing from you. Rebecca Weissbort - Health, Fitness and Well-being Life coach, specializing in women in their middle years and those going through any kind of change in life. ​A gentle nudge of encouragement is sometimes all it takes to change your life. My Pilates journey started with a chance meeting with an old friend. Several years ago I reconnected with Pauline Ward, a friend that I had grown up with. We chatted on line several times and then met up at a funeral. This sad occasion gave us pause for thought and we shared our stories and our plans for the future. Our lives seemed to have taken similar paths. Pauline making a move from a stressful admin role in the fitness industry to running her own Pilates and Yoga business, and me making the move after twenty-five years of Primary school teaching, to re-train as a Remedial Soft Tissue Therapist, which led to a job in a busy physiotherapy clinic. However, where I was feeling the need to continue and evolve my change in career, Pauline was full of enthusiasm and energy about her future plans. The thing that she was most excited about was her upcoming Yoga and Pilates retreat on the Greek Island of Poros, and this is where the steady stream of encouragement and cajoling form Pauline began, to the point where I found myself standing on a stunning Greek beach with Pauline, with a week of Pilates and Yoga ahead of me. This is a decision that I have never regretted. The week was glorious. New friends were made, and a new confidence started to develop as I learned more about Pilates and Yoga. On my return home I continued to practice Yoga and Pilates and a plan started to evolve. With encouragement from Pauline I signed up to do a Level 3 Matwork Pilates teaching course, and after attending Pauline’s second retreat in September, I was ready to start the course. That’s my excuse to take another holiday and I’m sticking to it! The course was intense, and I can’t pretend it was easy, but then nothing worthwhile is easy. At the end of December, I qualified as a Level 3 Pilates teacher. Pauline’s joy and my sense of personal achievement made it worth all the additional studies, time and effort. So, that brings us to the present. I’m still working as a Soft Tissue Therapist but I’m now combining it with teaching some group Pilates classes and One to One lessons at the Physiotherapy Clinic. I’ve also found that my Pilates knowledge is improving my massage practice, giving me a useful bank of remedial exercises for the patients that I treat. At present I’m busy building my own Pilates business and enjoying applying my clinical knowledge and skills to teaching Pilates, this gives me great satisfaction. And, who knows, with Pauline’s encouragement what will I take on next? Watch this space! As I reflect on the past year I realise what a journey I have been on. A year ago I was in a very different place, I had just been diagnosed with work related stress, my levels of anxiety were so high my GP wanted to medicate me and I was too ill to work in a role that I had loved and was very competent at. I had been attending Pauline’s Pilates courses for quite some time and almost instinctively contacted Pauline the day after I became unwell at work, looking for something that may help the situation I found myself in. Pauline invited me to attend the Thursday lunchtime yoga class and from the moment I walked into the hall I felt a real sense of support and care. Everyone welcomed me, giving a cheery hello and telling me their names, “how nice” I remember thinking as I settled down to participate in my first yoga class. The following week I joined the Thursday morning class, and Pauline was right, they were lovely. I would pop home for some lunch and go onto the 1.30pm yoga class. Gradually I started to attend more classes and build some structure to the difficult days and weeks I was encountering. During those first months, I showed all the classic signs of work related stress, I didn’t sleep and if I did, I had nightmares, I was extremely anxious, I suffered from daily headaches, I could not switch off from work, I had panic attacks and could not speak about work without becoming tearful and distressed. But as the weeks and months went by, I was establishing a “wellness routine”. I was attending Pilates and yoga classes, focusing on bringing structure to each day through getting out and doing something that I loved. The results have been amazing, my mental health and wellbeing slowly began to improve and after several long months the nightmares and headaches began to subside. I was finally able to switch off from work during the relaxation section of my precious Thursday lunchtime yoga class. It was a start, I was on the long road to recovery, which was supported every step of the way through participating in Pauline’s classes. So where am I now? Well, I’m much fitter physically, but most importantly mentally. I would say that Pilates and yoga saved me at a time when I was most in need and Pauline and her classes were instrumental in my recovery. Her kind words and time for me in those early days helped me find a path to recovery and opened the door to my new life. I have a totally different outlook on life and now prioritise my mental health and wellbeing. 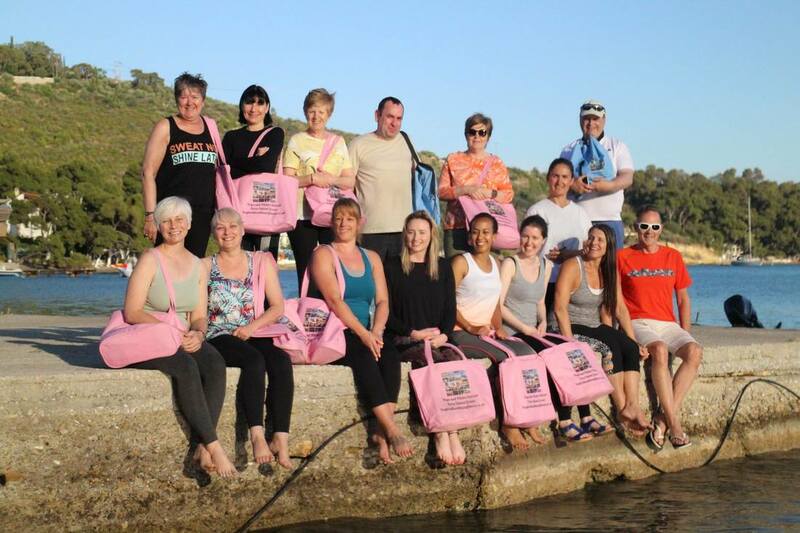 I attended my first Yoga and Pilates retreat on the beautiful Greek island of Poros in September 2017. This allowed me to take time and reflect on the past year as well as experience yoga and Pilates in the best location I have ever been to. I’ve moved on from my previous role and my love for Pilates has grown so much, I am now a qualified instructor and enjoying teaching my first courses. So, as I sit here writing this, I am reflecting on the benefits of yoga and Pilates and would wholeheartedly recommend that taking just a little time for yourself to practice something you love will have benefits ten-fold. My research into stress, particularly work related stress, has led me to understand the importance of looking after ones self and being aware of the signs and symptoms that could affect mental health wellbeing. “The acquirement and enjoyment of physical well-being, mental calm and spiritual peace are priceless to their possessors..."
I often receive a telephone call from someone wanting to make a change to their life but not sure where to start. They have been recommended Yoga or Pilates by their doctor, physiotherapist or a friend but don’t have the confidence, ability (physically) or availability to join a class. This is where a one to one or series of private lessons is perfect. In a one to one lesson you receive individual attention with a programme designed for your needs, each move is taught slowly with individual (*hands on) correction. Teaching points are specific to your ability so that you can gain confidence in yourself, build strength and improve agility to join a regular class. To do this you will need to be able to keep pace with the rest of the class. This may take just one lesson or perhaps a block of lessons. If this is not possible, it is important you see improvements, feel stronger and well. You will be encouraged to continue your practice with 5 or 10 minutes exercise every day between sessions. A worksheet designed for your specific needs will be written and given to you for your home practice. The benefits from exercise are for everyone. One of my oldest clients, is a man aged 85 years. The improvement he has made over the past 8 weeks has been so significant it’s not far short of a miracle. The lessons we have had together have been pure joy, he now has so much more movement in his spine, he can rotate, flex forward with rotation, extend backwards and bend sideways. His shoulder mobility has improved so much, he can stand with his back against a wall and lift his arms to touch the wall. His arm strength has improved, where he has increased the number of standing push ups from 5 to over 20 in one set. We also work on leg strength and hip mobility which is also improving each week. But most important is the quality of life, freedom and confidence he has gained. He can now walk from his home to the high street and back. This is something most of us take for granted but is a lifeline to someone who can’t. Many people suffer from ongoing back pain. This can be caused by inactivity, sitting for many hours at a desk. It may be be due to a repeated movement, perhaps lifting, carrying a bag on one shoulder or from many hours standing. 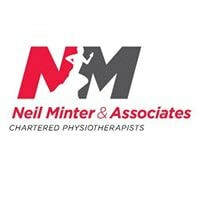 It is really important you get professional advice from a qualified physiotherapist or osteopath if there is severe back pain, however if it is intermittent, occasional back ache, then Pilates or Yoga may help. You will need to start slowly and a one to one lesson is the perfect way to get the individual attention for your needs. If you are interested in a one to one lesson, please contact me to discuss your needs. This could be anything from 1 hour to a block of 6 weeks. Please send me your comments and share this blog with anyone you feel would enjoy reading it. *Hands on. Your teacher will always ask permission to touch you, if correction is needed. If you don’t want to be touched, this is fine, extra teaching points and explanation will be given. In February 2017, I received an email asking if I could teach a Team well-being day for The Kent and Medway NHS and Social Care Partnership Trust. Although I teach a very full programme of Pilates and Yoga courses, I said yes. I love a challenge and especially enjoy planning, writing and fulfilling bespoke programmes. The brief was a half day workshop to include: Back Care, Posture and Stress Management. Joy to my ears! I started working on the programme and after many hours of planning and writing, the time-table was ready to teach. The team well-being day was to be held in Ashford, Kent and the sessions I would be presenting, would start at 10am and run through to 12.30pm. This is when lunch was booked, so I couldn’t run over time! Session 1: Posture and mobility – The Power Break designed to address posture and mobility during the working day. Yoga mobility exercises anyone can practice at home and 5 yoga asanas. This is a physical exercise session and would take 1 hour. Sessions 2: Back care – Pilates moves designed to strengthen your centre (core) and back – This is a physical exercise session and would take 30 minutes. Session 3: Stress Management, meditation (including chocolate meditation) and Yoga Nidra. This is a relaxing session and would take 30 minutes. Each session, is followed up with detailed worksheets for the attendees to take away and continue their practice at work and at home. The biggest challenge when presenting these workshops is keeping to the schedule and making sure sufficient time is allocated for a positive learning experience. I could not have asked for a nicer group of people to teach. From the moment I arrived, I was made to feel welcome. Some people had been to a Yoga or Pilates class in the past and others were complete beginners. The sessions were fun, interactive and a joy to teach. I am delighted to say the Team well-being day was a resounding success and such a positive experience for everyone. “Each session was carefully planned out with lots of attention to detail. Pauline is a brilliant teacher, with the perfect approach to teach a class. Very welcoming and friendly and also really took an interest in each of us. She went at a steady pace which was just right for me. Throughout each session she reminded us that it was ok to go at our own pace and not to worry at all about being in sync with others. She emphasised that our bodies are our own, and we have no pressure to do all the things that was taught, just what we were able to do. This kept the sessions very relaxed and light hearted. She always took her time, and never rushed us. She made things really interesting and at the same time gave us valuable pieces of information. It was great fun and I enjoyed taking part! I would say that I enjoyed all of her sessions, but if I had to pick my favourite, I would say that the Back Care Pilates Session was my favourite because it was fun to give myself the challenge of carrying out the moves in a way which suited my pace, yet at the same time, began to learn how my body moves and the range of my own movement. I was much more flexible, stronger and balanced than I’d first realised. It gave me a confidence boost. My first ever experience of pilates was negative as I found it much too tedious and painful, but this time round it was a pleasure to do! Stress and low back pain conditions cause absence from work and cost companies many thousands of pounds. 131 million days were lost due to sickness absences in the UK in 2013. Minor illnesses were the most common reason given for sickness absence but more days were lost to back, neck and muscle pain than any other cause. (Ref: Office for national statistics - Sickness Absence in the Labour Market, February 2014). Stress can hit anyone at any level of the business and recent research shows that work related stress is widespread and is not confined to particular sectors, jobs or industries. Ref: The Health and Safety Executive. Follow links for related articles: Preventing work related stress toolkit and Cortisol, Stress and your Health. Where the job unavoidably contains spells of intensive display screen work (whether using the keyboard or input device, reading the screen, or a mixture of the two), these should be broken up by periods of non-intensive, non-display screen work. Breaks must allow users to vary their posture. Exercise routines which include blinking, stretching and focusing eyes on distant objects can be helpful. "A study in the Lancet medical journal showed that physical inactivity worldwide has been labelled as "pandemic" and that regular exe rcise is just as good for you as stopping smoking, "
The BHF National Centre recommend; Policy makers should support and encourage employers to take steps to minimise sedentary behaviours in employees, including regular breaks from sitting at a computer. If you are interested in a work based well-being event or course, please contact me to discuss your needs. This could be anything from 1 hour workshop to a one week retreat! Please send me your comments and share this blog with anyone you feel would enjoy reading it. This blog is about my journey and the first Yoga and Pilates retreat in Poros, Greece May 2017. The idea was first presented to me by my friend Sofia who lives with her daughter Maira and her mother Stella on the beautiful Island of Poros in Greece. I have been enjoying holidays in Poros for over 20 years and my love for the island continues to grow. One evening at dinner in August 2016 Sofia suggested I teach Yoga and Pilates in Poros. I said I would love to and the idea of the retreat began. Dates were set for September 2017, information sent out to my clients and within 24 hours the first retreat was fully booked! I could not have imagined such a fantastic response. As enquiries kept coming in, a second, earlier date for May 2017 was offered. Bookings for May again came in quickly and my plans for the retreat began to formulate. I wanted to offer a complete learning experience for everyone who came on the retreat. I needed to cater for complete beginners and at the same time more experienced clients. One of the joys of Yoga and Pilates is that even when you go back to basics, there is a deeper understanding, feelings, movements and challenges for everyone. The basics, allow you to slow down, work deeper, and really connect with the fundamentals of each movement or pose you are practicing. As part of the learning experience I wanted to capture and record the focus points for each class. I wanted those attending to be able to evaluate how the lessons went and their thoughts about their practice. To do this I started writing a retreat journal, outlining every lesson, what we were learning and working on during that lesson. The journal had details about the moves and poses to continue their practice when they return home. It also had pages to add notes, messages from friends, postcards and photographs. I wanted to have a goody bag for everyone, something to keep the journal in and perhaps some other gifts. After some research, I found just what I was looking for, personalised beach bags, perfect for a beach holiday and yoga and Pilates retreat. Bags ordered and more ideas formulating for gifts to add to the bag, a chakra bracelet, pen, postcard . . . .
My planning included logistics, such as booking accommodation, organising a space to teach the classes in, ordering yoga mats etc. Communications with guest coming on the retreat providing information to ensure they have a safe journey and know what to expect. I will now fast forward to May 2017 and the night before we leave. It’s about 10pm and I have just arrived home from teaching. As I drive onto the front my husband notices the cars rear lights are not working! As we will be driving to the airport at 4am this needed fixing. Thank goodness, we have call out cover for the car. Problem solved. I then receive a message from Sofia to say that the ferries in Greece are all on strike. Another problem not anticipated. I was worried, however knew that the universe would provide a solution, I just needed to trust things would work out. With the car fixed we left for the airport, checked in and proceeded through security. I contacted Sofia again to check on the situation with ferries. It was confirmed, they were on strike and there were no boats to Poros. After contacting another friend, a mini bus was organised to collect 6 of us from Athens airport and drive us to Poros. I could not have wished for a smoother journey. Our driver was waiting as we walked through the arrivals gate and the mini bus directly outside. Feeling blessed we continued our journey. Arriving in Poros is always one of my favourite moments, it’s like coming home. Familiar sights, sounds, smells. All my senses are dancing with joy as I’m reunited with this special place. I have so many happy memories . . . our wedding on the small Island Daskalio Poros, pregnancy, babies, birthdays and so many more. As we arrive I am feeling so excited to share and introduce Poros to our guests. A small group of us arrived a day early, this gave me a chance to prepare and organise any last-minute details. We enjoyed a relaxing evening at Petros Taverna with Sophia and her family. It couldn’t be a more perfect evening, delicious food, great company and the anticipation of the days to come. The guests arrived on Saturday evening to share an evening meal with us. Goody bags were presented to sounds of delight, traditional home cooked Greek food was enjoyed and introductions began. What I hadn’t anticipated was that so few people knew each other. This was a group of people from different parts of the world coming together for the first time. Within a few hours, friendships were forming, jokes and banter began and I could feel this would work. I breathed a sigh of relief. The first class started at 8am Sunday morning. I arrive early to set up, roll out mats and get the register ready. Guests start coming down stairs to take their place. The temperature is pleasantly warm and our outdoor space overlooks a perfectly calm sea. After a brief introduction, I invite the class to lie on their back (Savasana) to relax. The next hour almost floats away, it goes so quickly and yet is slow and relaxed, I am closing before I have begun! The atmosphere is one of peace and tranquility it was as if we were in utopia. Taking a few moments to reconnect with the present, we roll up the mats and set up a table to enjoy a delicious breakfast of freshly squeezed orange juice (literally just squeezed) Greek yogurt, fruit, muesli, bread, jams, local honey, eggs and coffee. Everyone now has free time to enjoy the beach, sightseeing, walking or anything they want to do. This part of the island is so quiet we are the only people on the beach. A few of us swim, sunbathe and chat the day away. The Pilates class started at 6pm, I felt a tangible anticipation as everyone arrived. The atmosphere is slightly different, although Pilates is mindful and requires concentration, there is more interaction and camaraderie. It feels friendly and relaxed. Another hour passes in a blink, mats are being rolled up and we nip upstairs to change for our evening meal. At the end of the first day, the tone is set, I feel everyone has settled in and is feeling at home. There were a few ‘plus ones’ on the retreat who didn’t intend to join in with the classes. I was fine with this, as time spent with a partner is so important in the busy lives we lead. They decided to give the classes a go and come along to one and see what they think. I am overjoyed to say that they stayed and completed every session. Those living afar are now looking for a local Yoga or Pilates class to attend. I could not have asked for a better endorsement of the empowerment of Yoga and Pilates. Days then pass like breaths, they merge into a delightful collage of beautiful moments. 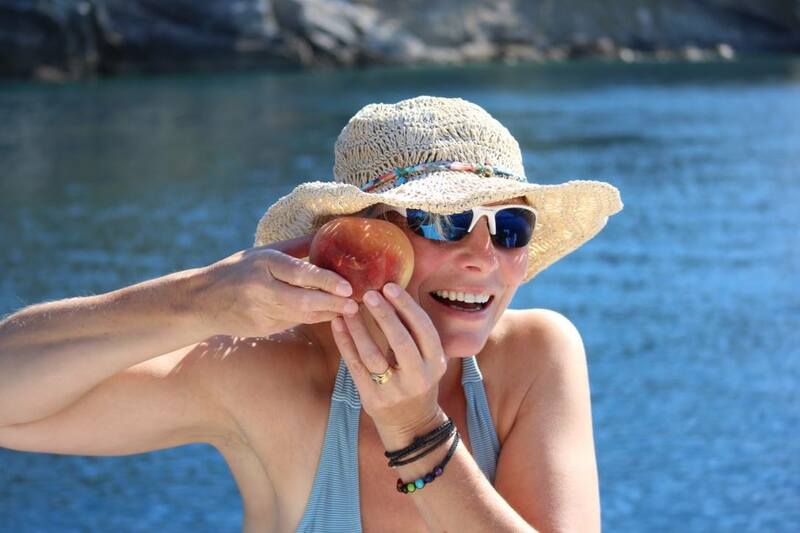 Swimming and chatting with friends, boat trips, walking, cycling, nights out on the town, eating delicious home cooked Greek food, a birthday celebration, massages, Yoga and Pilates. It’s Friday and the week is coming to an end; we enjoy our final Yoga class at 8am and the last Pilates class at 6pm. Both classes are a celebration. `'Just wanted to thank you for an absolutely lovely holiday, the yoga and Pilates classes were great! I felt really chilled and made some friends as well. I really couldn't say what the best part of the holiday was as the whole experience was great. 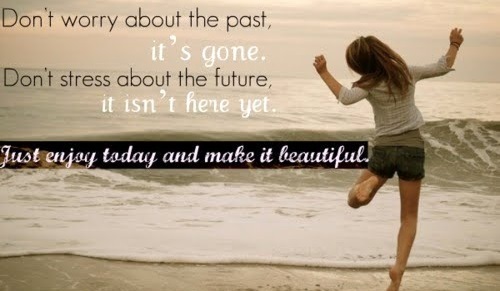 "Thomas Carlyle said, "He who has health, has hope; and he who has hope, has everything." Thank you, Pauline, for "everything", I came with Hazel on your retreat with no plan to join in the contortional activities, but having done so under your expert guidance, you have started me down a road of a healthier life and provided hope for even the most rigid and out of shape human." Harris - feeling thankful. If you would like to join me on a future holiday/retreat in Poros, get in touch. If you were on the May retreat and are reaching this, please add your comments to the blog, I would love to hear from you again. Please share this blog with family and friends by liking and sharing on social media. "Introducing, teaching and inspiring people to enjoy a healthier and more active life"
﻿Put a tick in your happy box! In today’s world, there is far too much emphasis on body image. As I plan for this year’s holiday and my first ever Yoga and Pilates retreat, I begin to think about what to pack and what I will be wearing. Trying on clothes, swim suits (bikinis) looking critically at my reflection! Does this sound familiar? Here we go, the weight loss campaign and diets begin! Why do we do this to ourselves every year? As I get older, I can say I am feeling much more confident in my (slightly larger than average) body shape. This is not due to a poor diet or lack of exercise, this is me and how I am. I feel we all need to learn to love ourselves, accept what is realistic, what is healthy. If you find this difficult and are unhappy with your body image, seek professional advice, from a proven, safe and supportive organisation such as Slimming World or Weight Watchers. Fad diets, shakes and starvation diets not only don’t work they are bad for your morale, health and wellbeing. Look at ways to enjoy eating a healthy diet, including family and friends. Make it fun and adventurous with new flavours and cuisines. If you want to include exercise into your weekly routine, look at classes and activities that make you feel happy. The weather is about to warm up, get outside and soak up the light. This will lift your spirit and invigorate your body. Discover country parks local to you, walking is free and accessible. Go with friends and natter for hours or use this time to walk and meditate soaking up the scenery. For me, I absolutely love Barre Pilates. As an activity, this ticks all my happy boxes. Dynamic Pilates, where we stretch, bend, roll, push and pull; adding the Barre, we plie, rise, point, lift and circle. The class is choreographed to upbeat and inspiring music giving an hour of pure fun and unadulterated exhilaration. ​Then when I want to slow down and perhaps work in a more holistic state of mind, body and spirit, I simply love yoga. I love moving slowly from one pose to another, concentrating, breathing, stretching and holding. I love the intensity and control required and that euphoric feelings when you progress and achieve. Legs extended out in front, working all muscles in the legs, stretching hamstrings and back of the legs, engaging hip flexors connecting to the pelvis. Spine long and lengthening, working all muscles in the back and core. Hands push into the floor working muscles in shoulders, arms and neck. As you push into the floor you may feel your body temperature gradually rising. Head lifting from the crown, lengthening the thoracic spine, improving posture. Focus on breathing, hold pose for 3 – 5 slow breaths, quietening the mind and bring a sense of calm into your awareness. Dandasana is a strong, grounding pose, connecting you with the earth via the root chakra Muladhara located at the base of your spine. Giving you support and firm foundations in life. This year, for me, no fad diets and no gimmicks, I’m going to continue doing what I love, Barre Pilates, Pilates and Yoga and put a big tick in my Happy Box. I accept this is me, a slightly larger, happy and confident person who loves life. If you are interested in trying a Yoga or Pilates class and you are local to Hornchurch, contact me. If you are not local, I hope you find something to make you happy. It may improve your sleep and help you relax, resulting in less stress, anxiety and fatigue. It will help prevent excessive weight gain improving self-image and self-confidence. It may teach you breathing techniques you can use during labour. If you are pregnant, have received the ‘go ahead’ and are interested in trying a Yoga or Pilates class in Hornchurch or the surrounding area, contact me to discuss further. If you are not local, I hope you find this blog useful and a class that is right for you. Why do you want to learn Yoga or Pilates? It is surprising how often I am asked 'what is the difference between Yoga and Pilates'? I have answered this question in a previous blog: What is the difference between yoga and Pilates? I am also asked, ‘which one do you prefer’? ‘Which one would be best for me’? These questions keep coming up so I thought I would write more; this seems to be a subject so many people are interested in. I feel blessed to teach both Yoga and Pilates and honestly cannot say which I prefer. In some ways they are very similar and in other ways they are poles apart. I am asked which is best for beginners, which is easier? Again an impossible question to answer. Both can be immensely challenging and equally gentle. They are both achievable, rewarding and fulfilling. My advice is firstly to ask yourself why you want to learn Yoga or Pilates? I am going to list the most frequent answers to this question and hopefully help you see the ‘wood from the trees’. I want to get fit (and lose weight) . . . Both Yoga and Pilates have health related fitness benefits. If you want to enjoy life, be able to move, walk/run, sit and stand more comfortable; both will help mobilise joints improve movement and increase strength. If you are looking for a gentle approach to introduce some exercise into your daily routine, Yoga and Pilates are fabulous. If you are looking for cardiovascular fitness and to burn calories you will need to add other activities. As with eating, balance is key. I want to stretch and improve my posture . . . Both Yoga and Pilates will help work on improving posture. Many of the Pilates moves work on your centre (core) and movement of the spine. Yoga asana (poses) will take you through movement to open your chest, lengthen and rotate your spine. You will work through a full range of movement in Yoga and Pilate and may therefore improve your mobility and flexibility. I want to improve my core strength . . . Both Yoga and Pilates will help improve core strength. The main difference here is in Yoga you will often hold the pose and breath into the static posture whereas with Pilates you will continue to move. I would say that Pilates for beginners maybe better suited for this goal as many of the moves focus on the centre (your core muscles). I want to do something to help with stress and to sleep better . . . The mindful approach to both Yoga and Pilates should give you a better night’s sleep. This would however depend on the class you are attending! Some are better suited for restful sleep. Yoga Relaxation would be perfect or a beautiful slow and flowing Pilates class may work. This would be trial and error; one size will not fit all. I would recommend Yoga (Restorative Yoga, Yoga Meditation, Yoga Nidra or Yoga Relaxation) in the first instance or try a very gentle Pilates class. I have a pre-existing medical condition and have been recommended . . . Always follow the advice of a health care professional. A qualified teacher I will follow this up with the health care professional to ensure you are recommended the best option. If you are interested in trying a Yoga or Pilates class and you are local to Hornchurch, contact me to discuss further. If you are not local, I hope you find the path that is right for you. Just over 18 months ago, I took the leap from 30 years of being employed PAYE to setting up my own business ‘Inspired health and Fitness’, better late than never! My first objective was to get myself some new qualifications and skills. Using the SkillsActive portal I booked myself onto the Level 3 Diploma in Pilates with JPilates in September 2014 and Level 3 Diploma in Yoga with YMCAfit in January 2015, I spent 12 months re-training. During this year of study I started writing and developing a business model for a ‘Yoga and Pilates School’. My research showed that classes being taught at the local Gym or Sports Centre were often too advanced and complicated for the average person. Beginners would go along with great expectations and come away feeling inadequate and unhappy. My concept therefore was to simplify Yoga and Pilates by creating a course structure which would introduce and nurture complete beginners. The programme would guide people through a series of progressive courses, with step by step homework worksheets and ongoing support. These courses lead to a continuing and progressive class programme. I have now been delivering courses for over 12 months. I could not have anticipated or dreamed of the phenomenal success this teaching model has been. The courses have grown month on month and continue to be fully subscribed. After an amazing year, I have fine-tuned the content and launched the ‘Instructors Start-up Package’ making courses available for newly qualified Yoga and Pilates teachers to deliver. 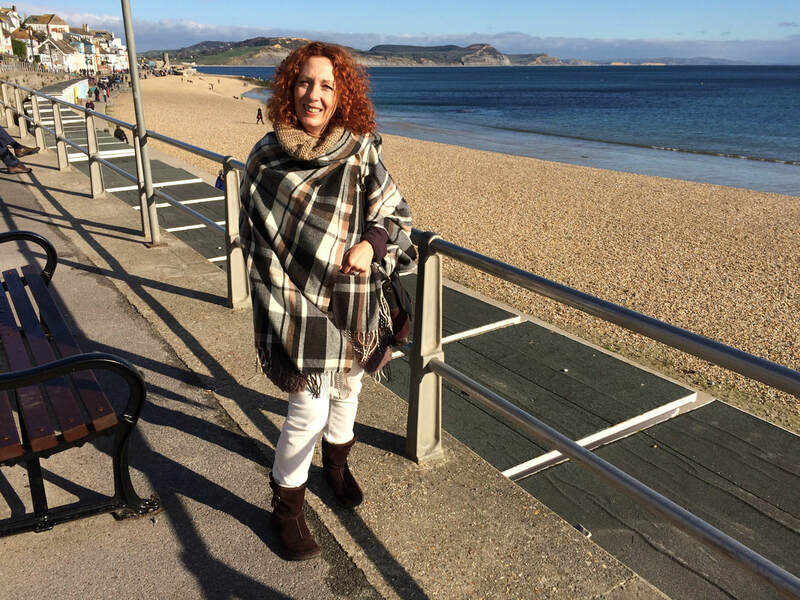 In autumn 2015 Annie Vincent, YMCAfit Senior Tutor came along to join some of my courses. Annie immediately understood the concept. "I have attended the ‘Introduction to Pilates’ course, and I have enjoyed it immensely. As a tutor delivering fitness qualifications and a practicing teacher with over 32 years of experience, I am always interested in new concepts. Pauline has a wonderful gift, making everyone feel at ease with themselves and the exercises given. Her innovative ideas of constructing this brilliant series of courses, aimed at supporting and guiding very new teachers of Yoga and Pilates, is truly inspiring. The programme of courses is also relevant to experienced teachers who may want to revitalise their classes to take a different format. Pauline has trialled the courses herself as a business model, and they are proving to be a phenomenal success. I myself have now seen the absolute sense of such a structure and layered format first hand. It is abundantly clear, having listened to participants’ comments, how much they are reaping the benefits and very much wanting to continue their progression. My message is simple: ‘It sometimes takes a leap of faith; do what you love and you will love what you do’ I have never been happier. My blogs have become a little infrequent as I have been sending out weekly newsletters. I received a reply this week where I was congratulated on writing a fabulous blog! This reminded me I haven’t been blogging, so I thought I would publish parts of the ‘newsletter’ in question. I hope you enjoy reading it. The image was inspired by my 80 year old mum, who came to her first Barre Pilates class on Tuesday. This was on the same day she went circuit training in the morning, walking lunch time and completed an hour of Matwork Pilates first! 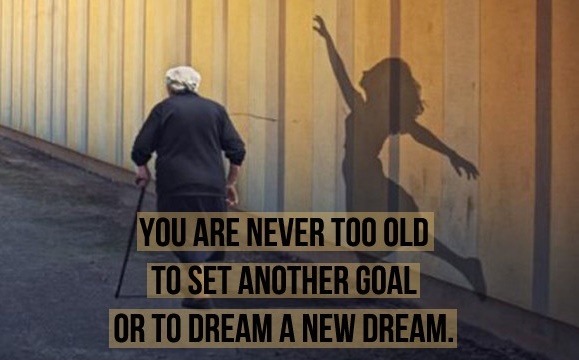 Proving "You are never too old". My philosophy in teaching Yoga and Pilates courses is to inspire, educate and empower my clients to take control of their physical wellbeing. It is for this reason, I run a varied class and course programme (open to anyone) giving them the opportunity to enjoy a class most days of the week. To reap the many benefits we need to practice, otherwise it is not possible to maintain or improve our physical wellbeing. The saying ‘use it or lose it’ applies. I regularly repeat my Introduction courses for Yoga and Pilates, introducing people to these activities who have never been to a Yoga or Pilates class before. I simply love teaching this course. I then offer Beginners courses, Improvers courses, and more advanced classes and courses. Taking people on a journey, at a pace, they are happy with. For those wanting things slower, I have gentle Hatha Yoga classes and Yoga Relaxation classes. I have recently introduced Barre Pilates and it is this which is causing such a stir at the moment especially with some of my seniors! They love it. There really is something for everyone. If it is not Yoga or Pilates for you, check out your local college, gym or community centre and see what is on offer. I’m sure you will find something you enjoy. What a celebration of the diversity of age all expressing the joy of Pilates. Thank you to everyone who takes the time to write to me. I am sorry if I have not included your email, every single one is appreciated. PS: My mum said it was just a bit easy for her, she prefers Cardio Combat with all the kicks and punches!!! Inspired Health and Fitness – The complete approach to health, fitness and wellbeing. ﻿Why don’t you put your feet up? This time last year I published a blog about getting active and introducing more physical activity into your everyday life. This year I am going to contradict (balance) this blog by encouraging you to do a little less! For some people December is simply too much, too many chores, too many friends to see, too many parties, too much shopping, too much TV! I am therefore going to encourage you, to find some quiet time this December, time for some tranquillity and stillness. I was speaking with one of my clients earlier this week, she was feeling a little under the weather and had lost her voice completely. However she was able to whisper some interesting advice and I would like to share this with you. Every Sunday, she turns off her mobile phone, turns off the TV and radio and has a quiet day where she does not speak and is not bombarded with noise. You may feel a full day is too long, however you could try a shorter period of ‘quiet time’. I have just started teaching a Yoga Relaxation course. This is the very first one. I have been astounded how many people have joined this course and how many enquiries I have received. 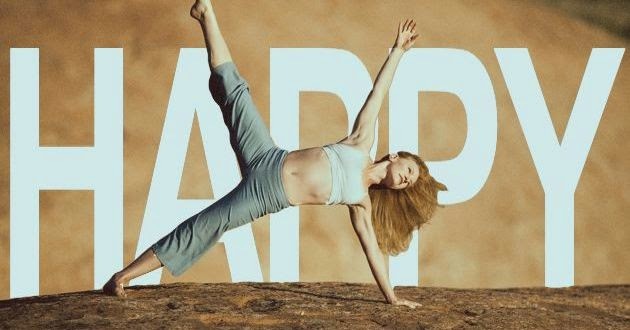 The joy of Yoga Relaxation is, you can spend time in a peaceful and relaxed environment, you don’t need to think, jump up and down or work up a sweat. It is about taking time out and allowing your body and mind to relax, recuperate and restore energy. In my weekly newsletter last week, I included guidance for Viparita Kirani (Legs up the wall pose). The feedback from this has been so positive I wanted to publish it on a blog to reach a wider audience. My advice therefore, this December, is to take a little time out, find your inner tranquillity and stillness. Sit on the floor very close to the wall. Bend your knees up to your chest. Roll onto your right side staying close to the wall. Slide your legs up the wall to position them above your pelvis. Hands can be held on your abdomen to feel your breathing, or on the floor out to the side. Focus on your breathing. 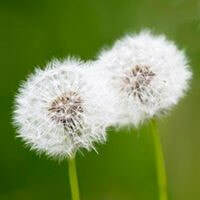 Count to 2 as you inhale and match the count for the exhalation. Gradually increase the count to 4. Aim to stay in this position for about 3-5 minutes, gradually increasing to 8 minutes. If you need to bend your knees a little, this is fine. Coming out of this pose. Bend your knees into your chest, roll onto your right side (left if pregnant) and slowly bring yourself up. You may want to rest your legs on a chair or stool with cushions instead of up the wall. You can place a thick blanket under your spine for comfort and a blanket over your trunk for warmth. You may want to raise your pelvis a little with a folded blanket, again for comfort. If you normally have a support under your head this can be used. Lie on your back, lengthen out along the floor. Relax feet (about 2 feet apart). Relax arms at your side. This is a restorative posture which will relax the whole body, drain excessive blood from the legs and lengthen the spine. It can also help with relief for headaches, stomach aches and menstrual discomfort. Let me know how you get on by posting a comment. I look forward to hearing from you. It’s been some time since I have written a blog. Firstly there has been a shift in my business from learning new skills, planning and writing, to teaching and delivering; I am loving this shift. I am still learning, however I now spend many more hours actually teaching. I want to continue to share the knowledge I have gained and introduce as many people as I can to the benefits from practicing Yoga and Pilates. My favourite courses are the ‘Introduction to Pilates’ and ‘Introduction to Yoga’. Exercise classes needn’t be arduous, I endeavour to make them inclusive, enjoyable and uplifting. I have recently finished reading a book called ‘The Curvy Girls Club’ by Michelle Gorman. This was a fabulous holiday read; fun, light-hearted and easy to relate to. It is mostly about, accepting yourself as you are, loving yourself and feeling confident. I hope this ethos is true in my classes and on the courses I teach. I want you to enjoy every class feeling comfortable and at ease. So where is this blog taking me? . . . . To my annual review! (Warning, this will involve some blog regurgitation and reflection). It has been just over 12 months since Inspired Health and Fitness was launched. My first blog published in July 2014 ‘Inspired Health and Fitness’ is now ready to be launched' was my ‘pipe dream’; taking health, fitness and wellbeing into the work place. I pursued this relentlessly for months, but employers didn't seem quite ready for such a new idea. Marketing wellbeing is like selling fresh air! We never know where life is going to take us, however what I have learnt from experience, is to embrace change, enjoy today (make it beautiful) and move forward tomorrow. Only this week the NHS have announced a major drive to improve the health and wellbeing of 1.3m health service staff. The Chief Executive of NHS England, Simon Stevens, said “NHS organisations will be supported to help their staff to stay well, including serving healthier food, promoting physical activity, reducing stress, and providing health checks covering mental health and musculoskeletal problems – the two biggest causes of sickness absence across the NHS”. Perhaps another door and opportunities for exercise professionals will open sometime soon! Due the lack of ‘Inspired Health and Fitness at work’ during the autumn months of 2014, a change in direction was required. This is where I started looking closer to home, teaching and writing blogs for you and not your employer! I have now been open for business for 12 months, delivering local classes and courses and writing blogs to help inspire, entertain and inform anyone and everyone reading them; for Men; Pilates is not just for girls! for Gardeners; Flexibility for life and gardening! for those of you stressed; Ever thought about cartwheeling along the Central Line platform? And for those of you wanting to improve your posture; Perfect posture and neutral spine, is it a load of old codswallop? One question I am still asked (at least once a week) is: What is the difference between Yoga and Pilates? So here it is again if you are wanting to know the answer! I hope you have enjoyed reading these blogs and have been able to take ‘something small’ away from each one. My plan for the next 12 months, is to continue teaching, continue learning and continue growing the classes and courses reaching out into our community. I hope you are able to join me on this journey. If you attend my classes and have a story (your story) or you are reading this and would like to share your thoughts or words of encouragement on health, fitness or wellbeing please contact me. Life can be challenging and unpredictable however we have the most amazing resilience in times of adversity and ‘given’ skills as human beings to overcome and defeat negativity; it just needs to be awakened and channelled. Our resilience and positivity comes from the power of our mind, if you are able to administer some good old-fashioned TLC to yourself, you will reap the rewards. We rarely slow down, take a break or stop for some reflective time. If you feel it’s time to take charge and administer a dose of TLC and positivity do it now (don’t wait). Think of your family, friends and work colleagues, identify those with ‘positive energy’ and spend time in their company. Celebrate their success and happiness, be joyful with them, bounce positivity back, and be positive together. Think of your favourite things to do, make a list (if you are a list person), plan and do those things. Make it happen. Think of your favourite music, listen to that music as often as you can, watch your favourite (uplifting) film, visit your favourite place. Your mind (and body) have very similar needs, both need to be nourished with positive energy and goodness. In yoga this is called the 8 limbs of Yoga. For most of us in life this is our inherent values. The first 5 are easily obtainable to everyone. Be good to yourself, do not hurt yourself, and be kind and considerate. Be truthful and honest in your behaviour thoughts and intentions. Be gracious for who you are and the life you have. Be humble and non-egoistic. Live in a clean environment, unclutter and give away unused belongings. Eat a healthy diet, drink plenty of water. Take time to reflect and be mindful. (If you are religious make time to worship and pray). If you are not religious simply make time to channel positive thoughts. Make time to breath mindfully! You will be totally amazed if you have never tried this before. This can be anywhere. You can start each day, each meal, every meeting with some breathing exercises to bring oxygen into the body and mind. You will notice a calming effect and sense of wellbeing. If you are not sure how, find a good Yoga class/teacher to show you. Most of us have the gift of sight, sound, touch, smell and taste. Whenever these senses are stimulated with something beautiful celebrate that sense. From time to time, cover your eyes, close your ears spend some quiet time to truly appreciate these gifts. Look within yourself. How I convey this in my teaching. I feel so blessed and fortunate to have the gift and opportunity to teach. I am passionate about life, positivity, wellness, Yoga and Pilates. My passion and positivity is available to everyone I teach to harness and take away with them. My joy, is to share that positivity. (I hope I am not sounding too evangelical)! It was WONDERFUL! I felt so relaxed but also energised afterwards. The exercises were easy but really effective. The whole session was really interesting and the routine was simple and easy to follow. The facilitator was lovely and calm. The whole thing; it was lovely to have 15 minutes out of the work day to re-energise! I would love to see this rolled out to my team once a week, it would be great! It was just great to get away from my desk and the stress of the day and relax. I found the stretches most useful. It’s good to relieve tension from sitting too long. The whole session was helpful. If success is measured by feedback, I feel very blessed and very successful. If you would like to add your feedback please post a comment on this page. I would love to hear from you. Inspired Health and Fitness – The complete approach to health, fitness and wellbeing. See website for services available and testimonials.